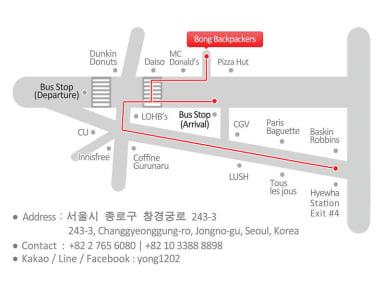 Bong Backpackers i Seoul, Sydkorea: Reservér nu! The owner of Bong Backpackers has traveled to a lot of places in the world. He knows what a traveler needs. Bong Backpackers has a variety of rooms which suits the needs for single travelers, families and friends.